The conduct of developers in needlessly clearing land merits new laws that would imprison them for gross vandalism, cruelty to animals and dangerous greenhouse gas generation. The main reason that Australia lacks effective laws to protect wildlife and that it seems helpless before the grotesque appetites for speculative profits of property developers is because of the Labor and Liberal Parties' huge investment in property development and financing and the cancerous presence in State parliaments of property developers or people who represent their interests over those of other citizens. Why clear land brutally and unnecessarily? There seems no good answer to this question of why clear land unnecessarily except for the corruption in parliament and of our economic system. In fact Australia should not be clearing any more land for housing at all and it should not be artificially growing its population either. The two things are related. We have huge immigration numbers coming in all the time, inflating prices. Investors in property development lobby constantly for mass immigration. The cost of land is now so high that even this population pressure is not producing more buyers, it is simply displacing people already here, by pricing people out of the market and into homelessness, or leaving only the option of sharing with relatives or living in group houses. What is happening to our wildlife is a weeping sore in our society. It is consuming and deforming our whole way of life. Although Queensland and West Australia are the worst for recent wildlife annihilation due to state-induced rapid population growth, the older states had already cleared too much to keep on clearing. In Victoria, the most cleared state, population growth has outpaced New South Wales due to State Government policies that ram development down the throats of local communities despite continuous protests. It seems that the Sunshine Coast is a dark and depressing place for those who love nature. In Victoria, in an outer suburb, also called Sunshine, things are very gloomy too. "Every time we steal more habitat from our native animals people are stupidly surprised to see kangaroos looking lost on a new vacant block where their habitat used to be. They wander down new cul-de-sacs or get hit by cars. People come into contact with them and call them 'pests' just because they're still there. 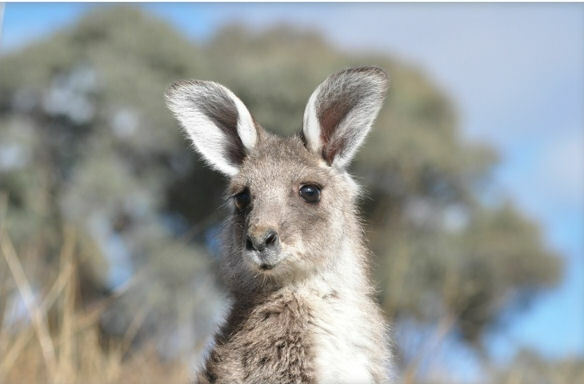 People believe kanga numbers are 'exploding' just because they are more visible without their Australian bush to hide in for protection from humans and dogs. When the truth is their numbers are actually dwindling because of floods, dogs, dumb human hunters, vehicle strike and bushfires. Those who spread the myths of 'ballooning populations' are only the shooters and hunters who have a vested interest in killing them. We also have a spate of vicious attacks on kangaroos by yobbos. Kangaroos are being shot with arrows, hacked to death, beheaded, joeys are being ripped from pouches and swung against the bullbars of utes or dragged behind them until dead. I work in animal welfare and these sorts of brutality are an ongoing problem in this country. We should be ashamed of ourselves for the way we treat the animals we proudly display on our Coat of Arms." "House Sales Drop: The number of houses and units sold in Australia last year dropped to 256,559, the lowest level of transactions since 1996, according to RP Data. The second half was 7.6 per cent stronger than the first, but analyst Cameron Kusher said a further incease in sales would be needed to underpin more price rises." Australian Financial Review, 10-17 March 2013, p. 3. Candobetter Editorial Comment: This is a sociopathic policy, to keep housing prices up for the benefit of the few who care more about their investments than in the country, and the disbenefit of the vast majority, who go into debt and homelessness because of this Australian political and economic phenomenon that corrupt parliaments encourage. All the environment protection laws and "protected" status for wildlife again proves to be nothing in front of the power of property developers, supported by record high immigration rates. The EPBC Act can easily be overcome, and all these policies are rubbery and flexible. These profiteers won't be happy until each tree, each bush, and each native animal is eradicated, biodiversity functions are at a full-stop, and the land sterilized for concrete, glass and timber house frames. Crime rates in our cities are escalating, and being perpetrated by younger and younger teenagers and kids. 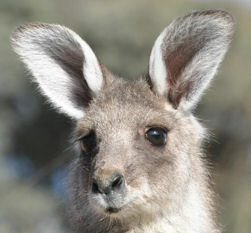 The dis-ease of urban living and suburbia is penetrating onto hapless native animals. While human populations explode globally at exponential levels, wildlife are diminishing - being pushed to the extremes of their habitats and annihilated. Australia has below replacement levels of fertility, as a developed nation, but we are forced to cope with third-world rates of population growth - due to an eco-hostile and unsustainable economic growth model.